Submersible pumps are positive displacement, low slip, three screw design, and are directly connected to the motor. 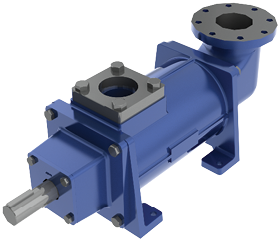 Belted pumps are foot mounted, positive displacement, low slip, three-screw design. 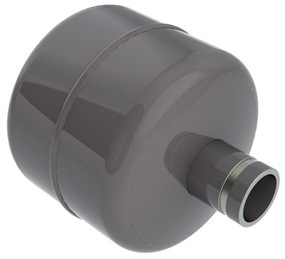 Submersible motors are designed to operate submerged in oil and are rated at 80 starts/hr or 120 starts/hr. 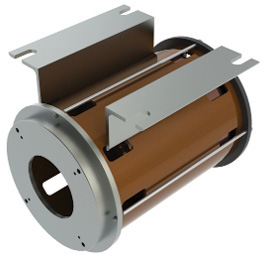 3-Phase motors are 3400 rpm and include leads for Across-the-Line, Wye-Delta, or Solid State starting. 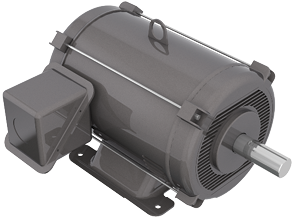 Single-Phase motors are 1750 rpm or 3400 rpm for 10hp (7.4kW) and include the starting capacitors for Across-the-Line starting. Motors include a built in thermal detector which should be wired to the controller to shut the power unit down in case of overheating. Belted motors are specially designed for oil hydraulic elevator service with squirrel cage construction and are 1800 rpm. 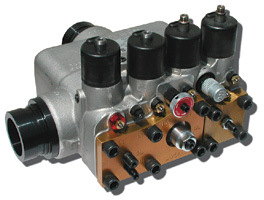 All power units include an EECO control valve as standard. 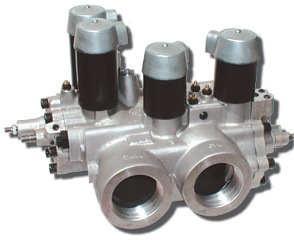 A Constant Down Speed control valve can be furnished as an option. 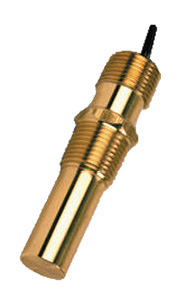 All units are supplied with 1/8” brass shut off valve and male quick-disconnect fittings. Other manufacturer’s control valves can be furnished upon requested. The Pressure Gauge Fitting System is used to provide a means of attaching a Pressure gauge to the control valve. It is provided with a 1/8 brass shut off valve and a male quick disconnect fitting. Individual fittings can be purchased to create your own arrangements. The Oil Level Liquid Gauge is made of corrosion and rust resistant milled aluminum. The end pieces are permanently secured through a staking process. 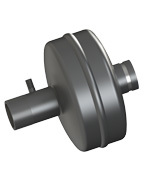 Fluid enters through the cross hole in the hollow lower bolt and is communicated back into the tank through the cross hole in the hollow top bolt. 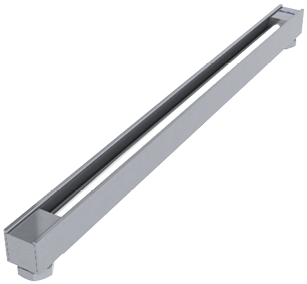 The Thermal Switch Assembly (TSW-1) is required to be installed on all Hydraulic Power Units, per ASME A17.1/CSA B44 3.26.6.5, to prevent the liquid temperature from rising above its maximum operating temperature. These switches are factory preset at a temperature setting of 145º F (63º C). 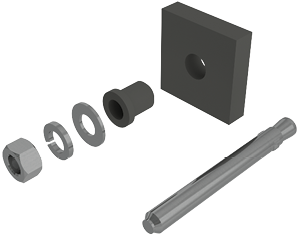 The Isolation Anchor Kit allows the installer to secure the power unit to the machine room floor while isolating the unit from transferring vibration and noise through the building. 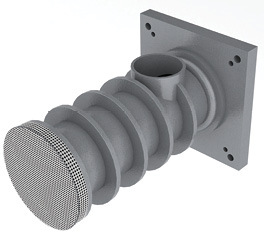 The Hydraulic Muffler (EHM) or Silencer (EHS) provide superior noise suppression and are included with each unit. They can be omitted if desired.